The weekend that passed by, saw a massive evening with many celebrities slaying the red carpet in their glitzy and glamorous avatars. 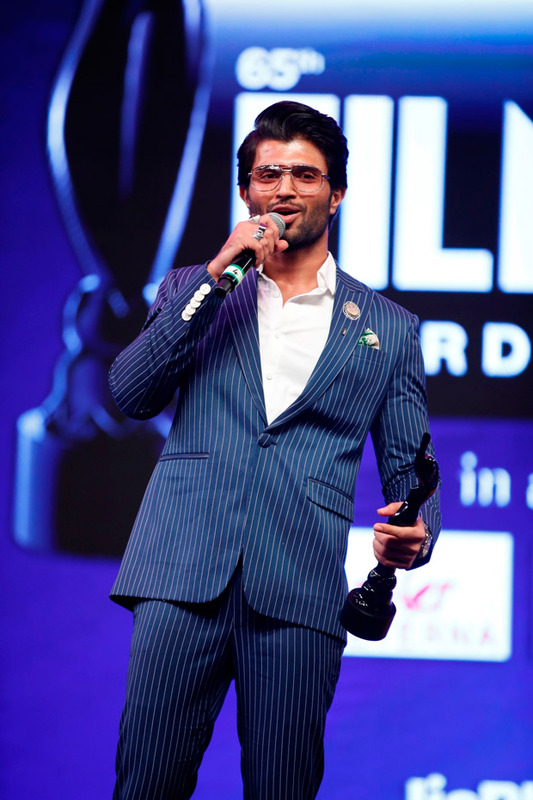 From Madhavan to Rana Daggubati, Nayantara to Sai Pallavi, many celebrities walked away with some prestigious wins. The 65th Jio Filmfare Awards [South] that was held in Hyderabad saw a bevy of actors sashaying on the red carpet. Amongst them were a handful of films that managed to win more than one award that evening. Having this film on the list is quite obvious. Considering that Baahubali turned out to be blockbuster not just in South but across the world, it has become one of those films that created history in Indian cinema. Baahubali – The Conclusion went on rejoice wins across languages. 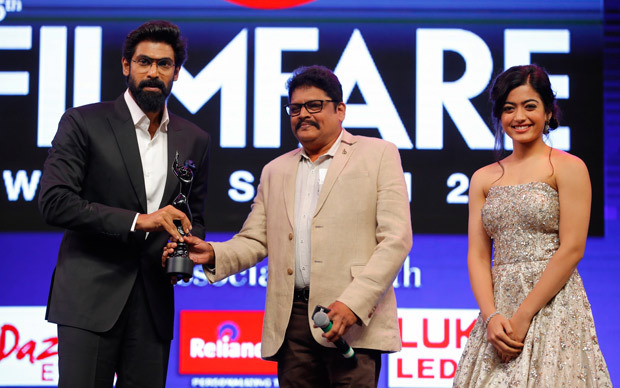 It was awarded as the Best Film, Best Director – S.S. Rajamouli, Best Actor in a supporting role for Rana Daggubati, Best Actress in a Supporting role for Ramya Krishnan, Best Music and Lyrics, both of which were presented to M M Keeravani. While that was the list for Telugu films, Baahubali went on win awards in Tamil language too, albeit technical ones. The film was awarded in the category of Best Production Design [Sabu Cyril] and Best Cinematography [K K Senthil Kumar]. Looks like the film not only created history in terms of box office but also at award functions. Based on the folklore of Bikram and Betal, Vikram Vedha featured Madhavan and Vijay Sethupathi in lead roles. Not surprisingly, the film went on to receive several awards this season. Besides ruling the roost at the other award functions, this film has become the Tamil film to win maximum awards. In the Tamil award category, Vikram Vedha went on to win the Best Director award [Pushkar Gayathri] and also the award for Best Playback Singh which was given to Anirudh Ravichander for the song ‘Yaanji’. But the most iconic moment was when the two awards of Best Actor [Male], Popular Choice & Critics, were presented to the two leads of this film – Vijay Sethupathi and Madhavan. 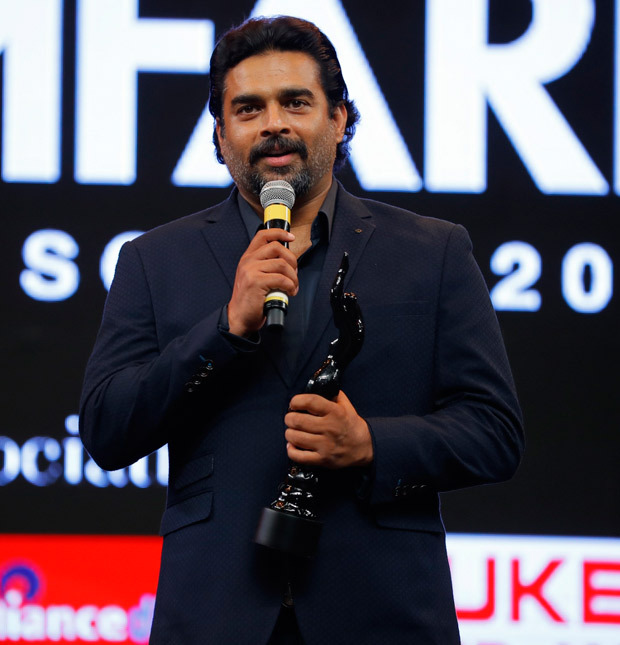 R Madhavan won the award along with Karthi who won the Critics Award for Theeran Adigaram Ondru. 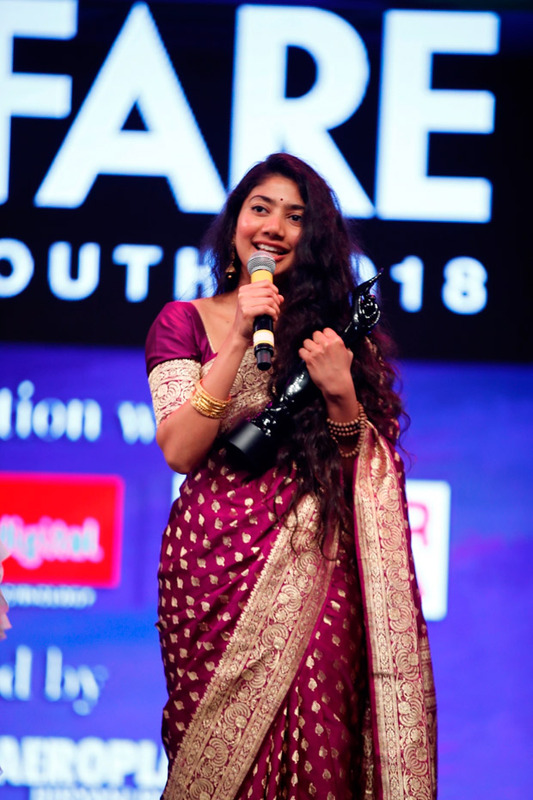 Beautiful love story set against the backdrop of a girl’s dilemma to leave her country or no, featured Sai Pallavi in the role of the leading lady. The Telugu film managed to win hearts and so did Sai who won the award for the Best Actor [Female] during this award ceremony. Besides that, the film went on to win award for its music wherein Hemachandra and Madhu Priya went on to win for the songs ‘Oosupodhu’, ‘Vachchinde’ from the film’s album respectively. 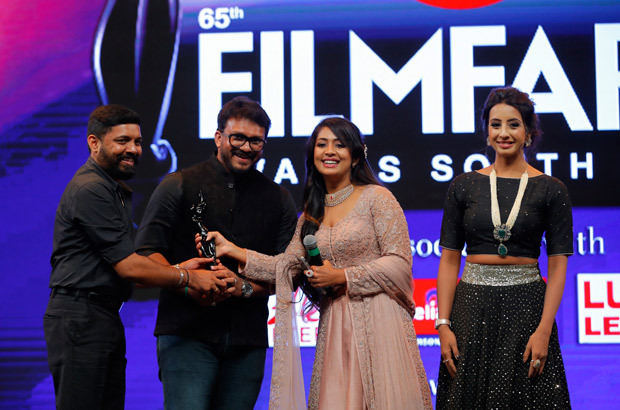 ‘Vachchinde’ also won in the category of Best Choreography since Sekhar V J won it for both the Telugu film and ‘Ammadu let us kummudu’ from the Tamil film Khaidi No.150. The unique plotline of Thondimuthalum Driksakshium seems to have created wonders at the Filmfare Awards 2018. The film went on to win three awards in major categories like Best Film, Best Director to Dileesh Pothen and Best Actor to Fahadh Fasil. Alencier Ley won the award for the Best Supporting Role [Male]. For the uninitiated, Thondimuthalum Driksakshium revolves around a newly married couple who encounters some unexpected incidents and unforeseen circumstances during a bus journey. Directed by Aashiq Abu, Mayaanadi that features on the journey of Matthew and his brush with law and police enforcement, has went on to receive four Filmfare awards. Tovino Thomas, who essayed the role of Matthew, was presented with the award for the Best Actor. Besides that, the film also won three major awards in the music category, that is, Rex Vijayan for Best Music, Anvar Ali for Best Lyrics for the song ‘Mizhiyil Ninnu Mizhiyilekku’ and Shabaz Aman for Best Playback Singer for the same song. Weaving the storylines, lives of different people into one link, the complex story of Chowka wowed the critics in Karnataka. And that continued even at the recently held Filmfare Awards. The film went on to win three awards for Best Director which was presented to Tarun Sudhir and the other two being for music, namely Anuradha Bhat for the song ‘Appa I Love You’ as the Best Playback Singer and V. Nagendra Prasad for the lyrics of the same song. Aramm [Tamil] – This film went on to win two major awards. Not surprisingly, one was for Best Film and the other was presented to Nayanthara in the Best Actress [Popular Choice] category for her marvelous act as the leading lady of the film. 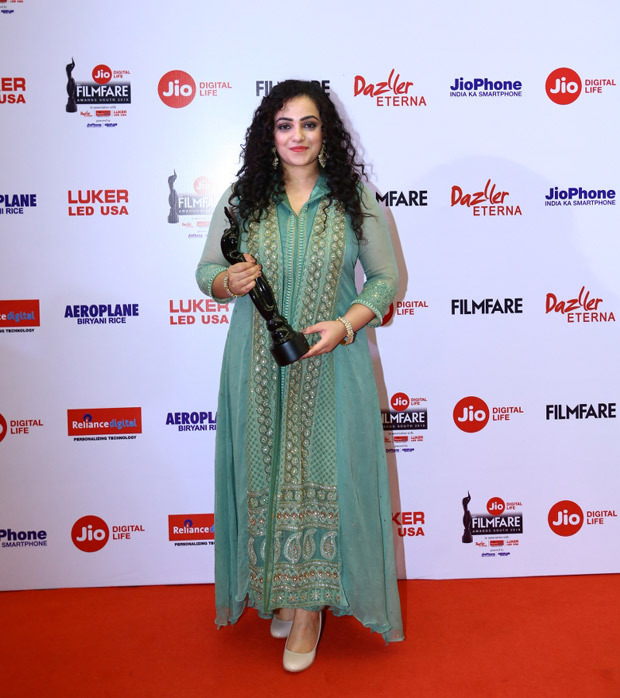 Mersal [Tamil] – Nithya Menen won the Best Actor in a Supporting Role [Female] award for this film. Also A R Rahman won the award for Best Music Album for the said film. Kaatru Veliyidai [Tamil] – This film that as appreciated for its music, was felicitated in the said category in Filmfare Awards too. Vairamuthu and Shashaa Tirupathi won the awards for Best Lyrics and Best Playback Singer [Female] for the song ‘Vaan’ from the film. Guru [Telugu]: The film won two major awards, Best Actor and Actress [Critics Choice] at the Telugu Filmfare Awards this year. It was presented to Venkatesh and Ritika Singh for their impeccable acts in the film. Beautiful Manasugulu [Kannada]: Shruti Hariharan who played the leading lady in the film won the Best Actor [Popular Choice] Award. Besides that, the film won for its melodious music and it was presented to B J Bharath. Njandukalude Naatil Oridavela [Malayalam]: The film won in two categories, namely, Aishwarya Lekshmi who won the award for Best Debut and Shanthi Krishna who won for Best Actor in a Supporting Role. Some important awards that some of these popular movies include, Aditi Balan for Best Debut in Aruvi [Tamil], Vijay Deverakonda for Best Actor in Arjun Reddy [Telugu], Puneet Rajkumar for Best Actor in Raajakumara [Kannada], Shradha Srinath for Best Actress (Critics Choice) in Operation Allemellama [Kannada], Parvathy for Best Actress in Take Off [Malayalam], Manju Warrier for Best Actress (Critics Choice) in Udhaharanam Sujatha [Malayalam].